2014 Commonwealth Games champion Anton Cooper wants to regain his national jersey in what is promising to be an exciting showdown at the New Zealand Mountain Bike Championships in Rotorua tomorrow. The cross country championships will again be staged in the stunning surrounds of Whakarewarewa Forest in Rotorua, and forms part of the city’s annual bike festival. 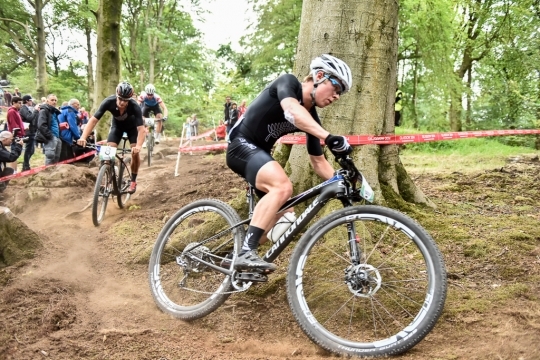 While the Cannondale Factory Racing professional has his sights aimed at his European and North American season later in the year, the 20 year old has put more emphasis on the national championships, after losing the title to fellow rising star Sam Gaze last year. Cooper goes into the race with a solid off-season build-up but also refreshed after going back to his roots during the summer. It could be far from a two-horse race in tomorrow’s crosscountry with a strong field including Rotorua’s Dirk Peters and Carl Jones and the teenage North Canterbury brothers Ben and Craig Oliver. It’s now all business for Cooper at the weekend. PHOTO CAPTION: Anton Cooper leads Sam Gaze at the Commonwealth Games mountain bike race in Glasgow.